You have all seen videos of me playing. You have all seen the 'rough' head and the flowing locks but who of you have ever heard the 'Ferret' actually 'speak'. None but one of you have. Ken @Fiddlestix has but none of the rest of you have. And now you are starting to think, "Why would that be?" The truth of it is that I have had some major surgery inside my mouth. A part of the floor of my mouth now comes from another part of my body, a 'small' part of my tongue has been removed and all of my bottom teeth have been removed. As a result, I don't speak really well. Yes, I can speak, but I sound a bit 'odd'. I'm understandable but I don't sound like most people and I'm a bit sensitive about it. This is not a totally permanent thing. Over the next year I should have my bottom teeth back. This, while it's not a total fix, will improve my speech considerably. I'm looking forward to this happening 'big time'. I was prompted to tell of this by a couple of things that have been happening on the forum of late. The first was Fiddlermans request for 'video questions', and the second was the recent interest in the forum of 'Streetjelly'and it's public performances. Both of which would require me to 'speak publicly'. I just wanted to let you folks know that It wasn't that I didn't want to join in. It's just that it's a bit of a problem to me. @Ferret mate - I appreciate it's a personal thing, and you are understandably self conscious about it - but listen man - frankly if you looked like Zaphod Beeblbrox, or came from a different galaxy, or had four arms (hmm... stereo violin playing..) we wouldn't give a tinkers cuss so long as you continue to contribute in whatever way you are happiest with ! My to you, John, my friend. Man, I hope you dont think something like that would make any of us think different of you, were family here John. You know you wouldnt have to say anything, you could just play your fiddle and there is the option to type a message there. But I understand and whatever you decide were behind you. John @Ferret : I'm so sorry for whatever health concern necessitated the surgery, but whether you speak differently or not at all makes absolutely no difference here. Your fiddle is your voice, a voice that we all understand perfectly. I wish you the best and am glad that you're here and one of my fiddle friends. John ... I am glad you felt you could share with us. (((((HUUUUUUGGGGS))))). I have mad wicked love for you as a member of this violin community/family. I can't wait till you get to put some of this behind you when your surgery and recovery is complete. I can't imagine the stress of it and what you are going through. And we will have some great violin playing to help the time go by for you. Bow to Bow, String to String, Note to Note. @Ferret: Understood. I went through some fairly major dental surgery a few years ago. Maybe not as much as you have, but enough that I couldn't really talk anything like normally for over a year. 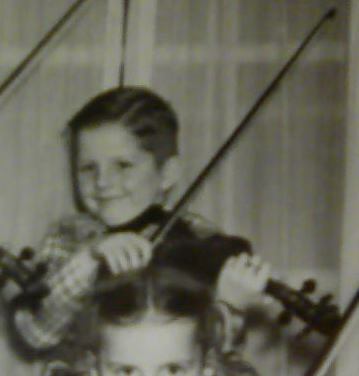 That was before I took up violin/fiddle. But yeah, it's enough to deal with without having to worry about how random people in public places (which includes video open to the public) will react. There's always good people where it wouldn't matter, and there's probably always some that would be unthinking/rude. Take your time and do what you're comfortable with. Enjoy your music and relax. One thing I would like to add, Frank, who runs Streetjelly tolerates no bad mouthing or nasty comments whatsoever. He'll ban someone for that behavior in a heartbeat and burn their IP address. The motto is if you dont like what you hear, keep it to yourself and move on. Checked out, "younow.com", all children, not one adult did I see and absolutely no entertainment whatsoever. Thumbs down on that one. We understand. It will not make a difference to me how you speak. I'm pretty sure it won't make a difference to anyone. Thanks for you words of support and understanding folks. Before my surgery my surgeon showed me a way to hear what I may speak like after. You may want to try it to get an idea of situation. All that you need to do is take your index finger and place it with very light pressure on the centre of your tongue and speak. It's not a totally accurate reproduction of the way that I speak but it will give you an idea. You would sound a bit like me if you where to speak with a piece of candy in your mouth. I'm in a much better place physically now, compared with my early post operative time. For one thing, due to damage to nerves in my neck during surgery, it was 4 months before I could use my arms. And look at me now, I 'play' the violin. Couldn't ask for better than that. And I can 'almost' whistle again. So now when you 'do' hear me speak it won't be such a surprise to you. I'd really would like to have a go at this Streetjelly when I feel ready both with this issue and as a fiddler. Thanks to you all. It's much appreciated. John / Ferret and I did about an hour long 'Skype' session a couple weeks before he went to the, 'Philippines' for his son's wedding a few months back. We worked on his timing and intonation for the song, "Anniversary Waltz" / "Waves of The Danube" which he was going to play at the wedding. Granted, on more than one occasion I asked him to repeat himself, not so much of the medical situation, but because of that "Aussie" accent, (they talk funny, don't ya know), LOL, only kidding about the funny accent, I love to hear Aussie's speak. Anyway, we did just fine, in fact we are both trying to set up another 'Skype' session again. Global time differences make it a bit difficult for scheduling. So, @'Ferret' / John Luck. Go4it, mate, you'll do just fine. The short of it is that we now know and are prepared when the time comes to hear you. No hurry on our part. I just want to say that I'm impressed by your perseverance in learning the violin. I did not know about the damaged nerves in your neck from the surgery. Way to go John. I understand being self conscious. Lost my upper teeth due to a car wreck in my 20's. So, come on out when you are ready and able. WOW... That must have hurt. Sorry to hear that. I hope that things are much better now. Ferret I feel you! I think you are awesome!! Notice - no one has ever seen me in a video? I also have very few still pictures of myself. I have actually ripped many up. Nothing physical, all mental - self loathing. Yes, it is a bit of stage fright issue but...some events have been the cause. Some day I will be as brave as you and come out too!!! Goodness just confessing that much is huge for me - only my family knows. You are with 'family' here. I won't ask for more about your situation. But if you ever decide to share more, we'll be happy to listen.